New tag. This is a house. Please feel free to ask for hints. I'm about 95% sure I know just where this is! And it's going to get warmer too. I'm not as brave as you are Sonia. Oh, and look, they have a big green egg on the porch! I didn't get the house today, but I did go get the Caddie today. It wasn't too bad. 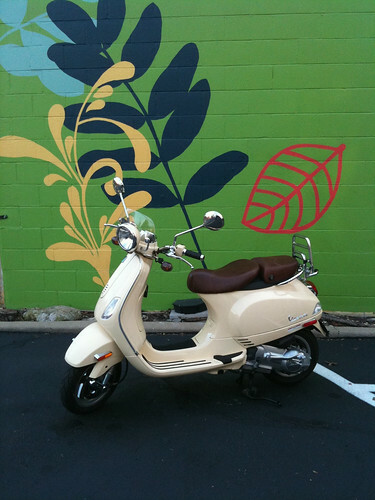 The scooter measured 51-67F, depending upon if I was moving or not. I only went out for an hour. 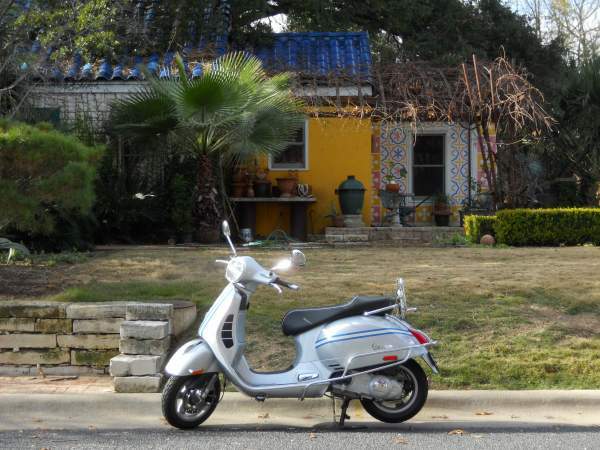 I had to go get the Austin Scooter Club tag too. I still need to get a neck gator, because my neck and chin are getting cold. House at Glenview and 29th St. They often have painted polka dots on the lawn. 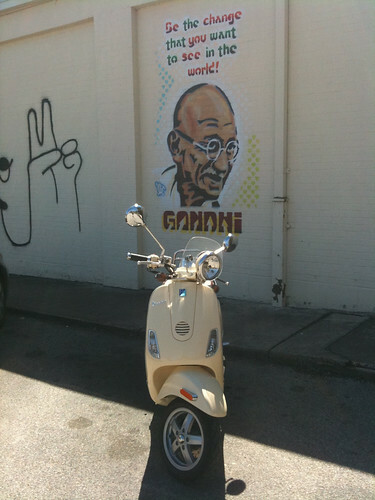 It's one of those places that probably most people in Austin have driven by but maybe not completely noticed... The business is apropos for the mural. I cannot for the life of me, think where I took this pic. but puddn' beat me to it! I had taken it, but it wasn't there. I was on Lamar. North of 5th st, but no sight of it. Hahaha, can you remind me? and if it's not Lamar, then Guadalupe it must be. Coz I came to it by chance, and I hardly go that way. 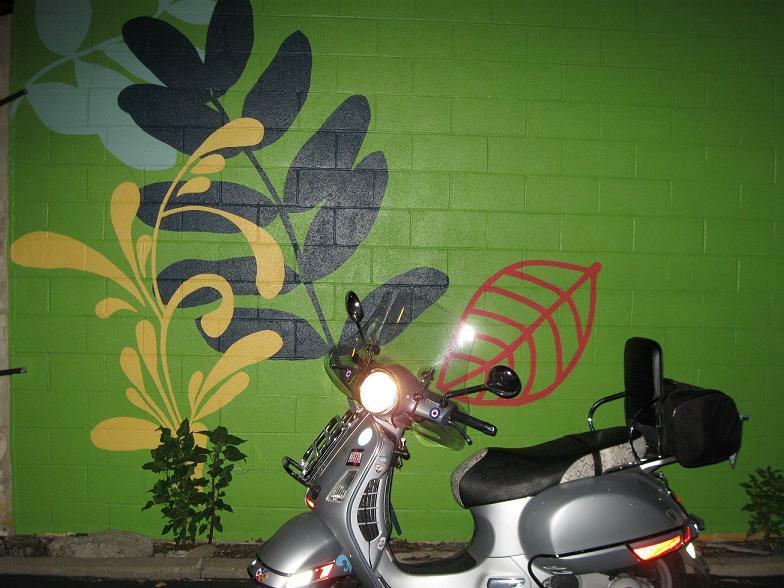 The previous tag was the north wall of the Flower Bucket on Lamar. Cool that you already had it! I remember that place. 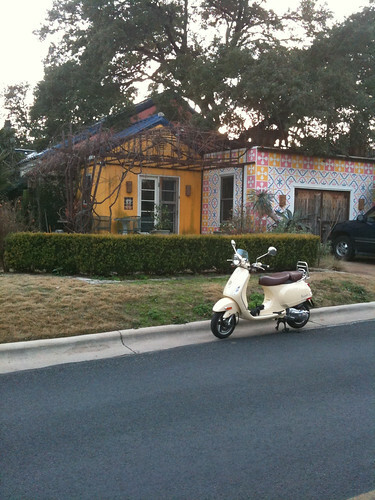 It used to be orange/terracotta though. I haven't been by there in a while. Good tag. perhaps you'd be able to smell some pizza near the east side. 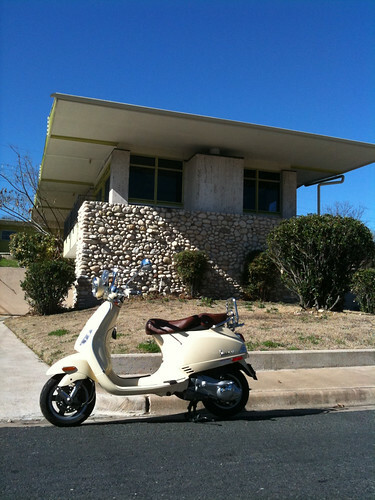 Building at Rosewood and Chestnut, Literacy Austin. Even closer to my house than I thought! Was recently for sale and the photos of inside were really cool. It has an elevator and a drive through garage. 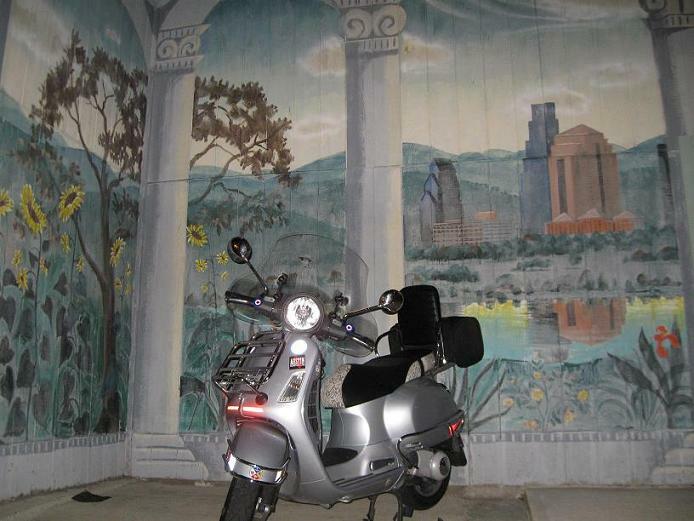 The mural is also the current tag on Austin Scooter club. Feel free to get a twofer, just post a different new tag than the house. I have not been playing long, but I am getting confused with the 4 games I am trying to play. I don't have time to go get it. Maybe someone else will. Now that it has been outed. 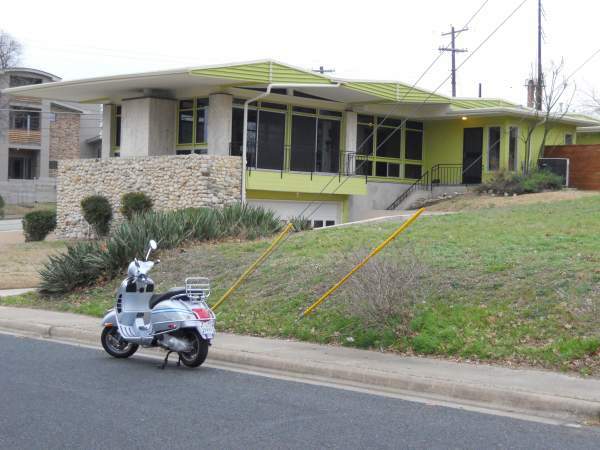 The home was designed by the first African American to enroll in and graduate from the University of Texas School of Architecture. Too bad I am busy, and the weather is turning. Otherwise, I would go get it. Maybe this weekend will be okay. After someone tags it, can you post the link to the inside pics? All I could find was an outside pic. This is an easy one. Maybe someone will feel motivated. 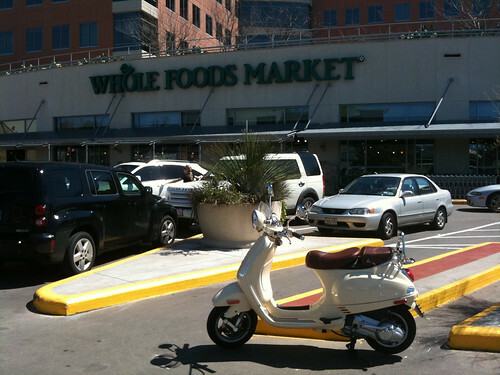 Hmm, so they sell only "whole foods"? No portions? I will be out of town for a week. If someone has a better tag, which should not be hard, feel free to post it. I'm cool with this tag, just haven't had the time to figure out how to get up there, or get up there... Northerners? and now the weather is looking good to get this! Come on, someone. This is easy. I wanna play while the weather is nice Tomorrow is looking pretty nasty. 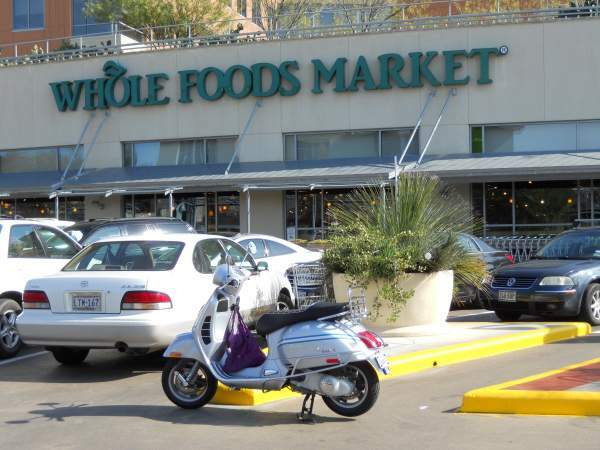 Whole Foods Market world headquarters at Lamar and 6th. It's beautiful out there peeps, go get some!!! 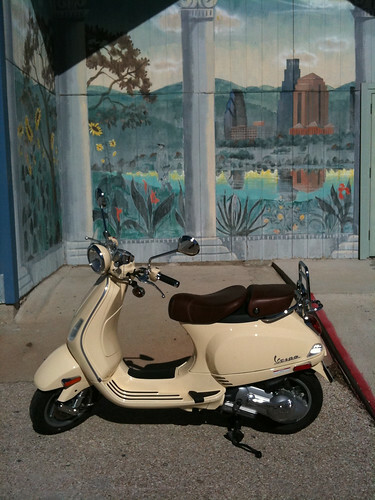 Brown and Bronze are listed as new colors for the 2010 GTS on the UK Vespa site. I think they are in the pdf brochure. I would have to see it in person, because I am usually not a brown fan.